It’s been awhile since I’ve done a fountain pen review so I figured I’d better get back on the wagon as I’ve got a back load of some great (and a not so great) pens to review. I’ll start out with my most recent acquisition an Extra Fine Chili Red Cross ATX Bahia. I purchased this pen on clearance from Swisher Pens because I had read some positive reviews online. Overall I’m very pleased with this pen, but I do have a few minor complaints. So let’s break it down. I tend to like modern pens with clean styling and this one fits the bill. I also tend to go for steel or black pens so with this one I decided to go a little crazy and add a little color to my pen case. 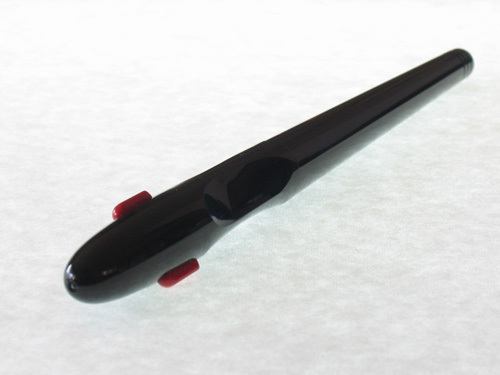 In this case I went for the Chili Red which is a maroon-ish color with a bit of a sparkly finish with matte metal on the clip and grip sections. When I first got the pen the cap was so tight that it really took a lot of effort to remove, but it has loosened a bit with wear so now it’s not a problem. Overall a nicely designed pen. 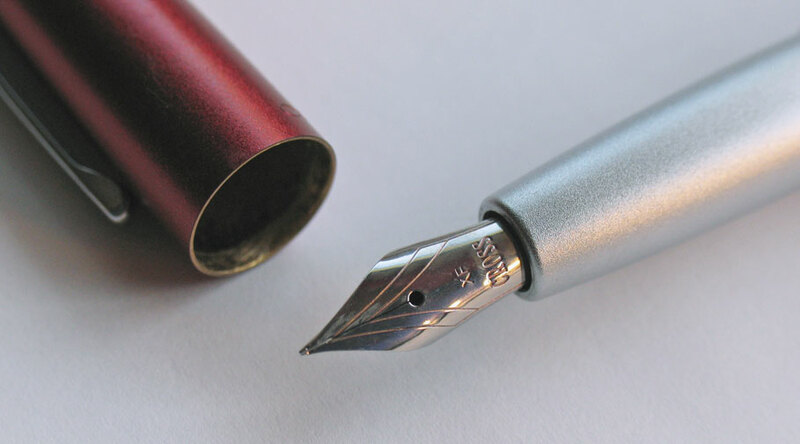 The ATX comes with a steel nib that ranges from XF to B. I went with XF, and here in lies my first complaint: it ain’t no XF. It’s really more like a fat Fine nib. Apart from size (which I’m getting used to), I really have no issue. 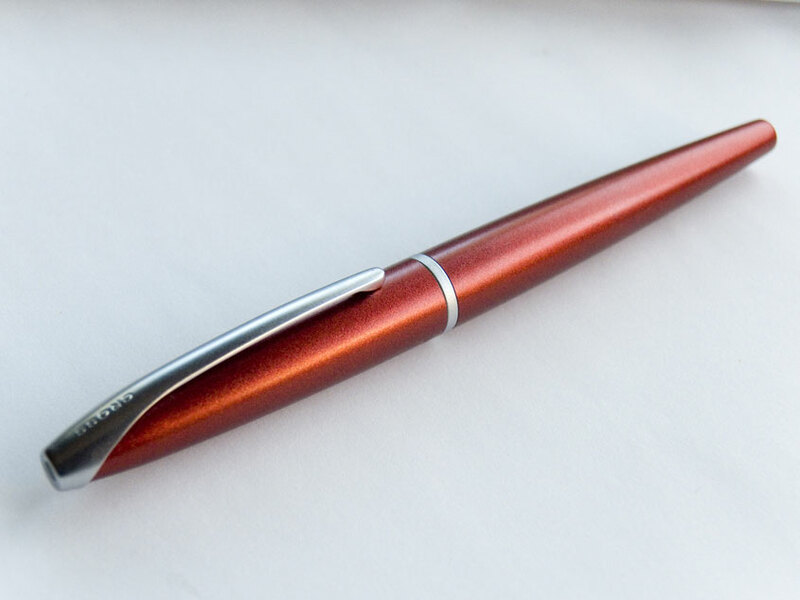 It’s a super smooth and wet writer that glides across the paper. I really enjoy sketching with this pen so it might end up being used more for that than for writing. As a matter of fact, the robots below were done with this pen. This pen is a cartridge/convertor filler and a convertor is included in the box so do not order an extra one like I did. And this is my other complaint, and one I’ve made before: PROPRIETARY CARTRIDGES (yargh!). This is very annoying. But I won’t get into that again. 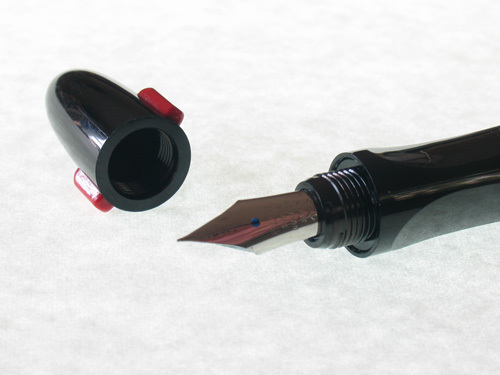 So overall I’m pleased with this pen, but I guess if I’m looking for a true XF nib I will have to restrict myself to the Asian pen companies, at least they know what XF should mean. However if your handwriting is bigger that mine than I would definitely recommend this pen. It’s a pleasure to write with. I think I’ve expressed before my love for Kinokuniya, the Japanese bookstore/stationary store attached to Uwajimaya in downtown Seattle. Well they also have stores in New York and San Francisco, and also in Palo Alto near where we were staying when we were in San Francisco in April (although that one is called Mai Do). I found this pen at Mai Do. I don’t know if it has a name but the Pilot site has it listed as the FP-50R, so that’s what I’ll go with. 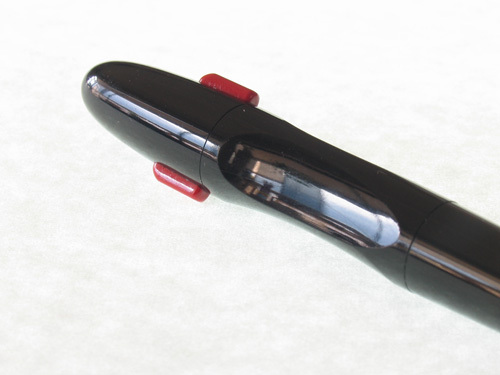 The first thing I noticed about this pen is that it looks like a cross between the Lamy Safari and the Rotring Art Pen. Very slick, I thought. The second thing I noticed was damn did this thing have an extra, extra fine nib. And for $8, I was convinced. So for style points it’s a winner, but how would it write? Well, as it turns out, that extra fine nib might be a bit too fine as it’s a bit scratchy to write with and the ink flow is fairly dry. So it’s probably not a pen I would take on a trip to journal with, but it works well for writing in my every day catch all moleskine as there is no bleed through at all. This pen takes the proprietary Pilot cartridges and I have to say this annoys me a little. 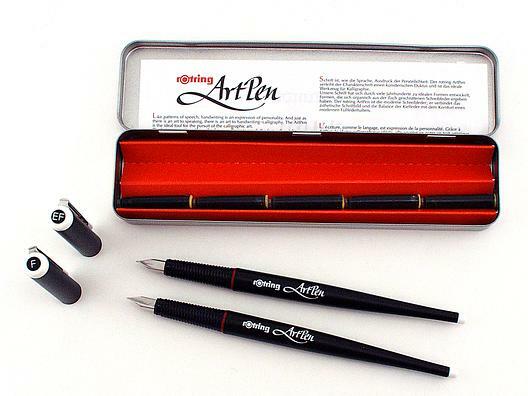 Not just with this pen, but any pen that has special cartridges, I mean, why not just use the international standard. 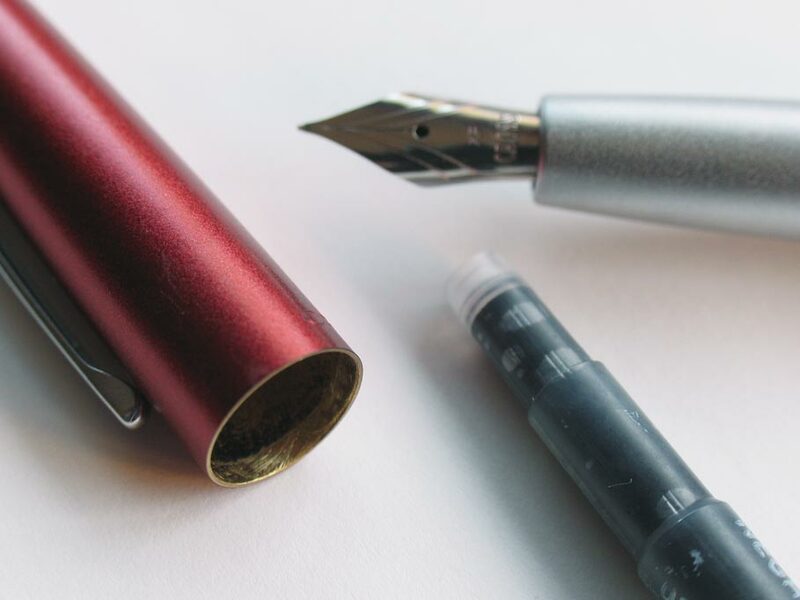 I mostly use cartridges and I resent being confined to the colors offered by the pen manufacturer, which are often limited to the standard red, blue, black, and, if you’re lucky, blue-black. So would I recommend this pen? 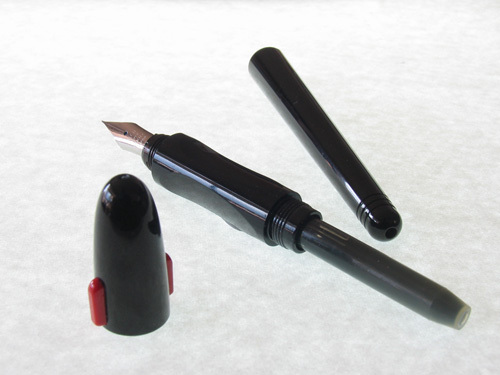 Well, perhaps for the person looking for the type of fine point that you really can’t find on American and European pens, but otherwise, try something with a little bit larger nib. Like maybe the Pilot Pettit1, which is a very fine writer for the money. I really will have to do a review of that one sometime soon.